Do you have a residential irrigation system installed in your yard? You know, one of those “set it and forget it” systems that keeps the lawn watered – even when you’re not around to drag the garden hose out and do it yourself… yep, that’s the one! What you might not know, especially if purchased a home with an irrigation system already installed (lucky you! ), is that it likely has a separate water meter with a back-flow assembly that was permitted at some point through the municipality in which your home is located. Yup. Sure did – thus, the reason for this post! Here’s the little-known real estate secret: certain towns/cities require re-inspection of those back flow valves to make sure there are no leaks or cross-contamination happening with the municipality water. It may sound like an extra hassle but with the intent of keeping your town’s water from possible cross-contamination, it’s a small price to pay. I Have an Irrigation System – Now What? The next step is to determine if your local government requires regularly-scheduled inspections for cross-connection programs. Each town provides a list of certified testers and costs typically range from $100 to $120, which includes filing required paperwork with your town. No inspection required outside of original permit. 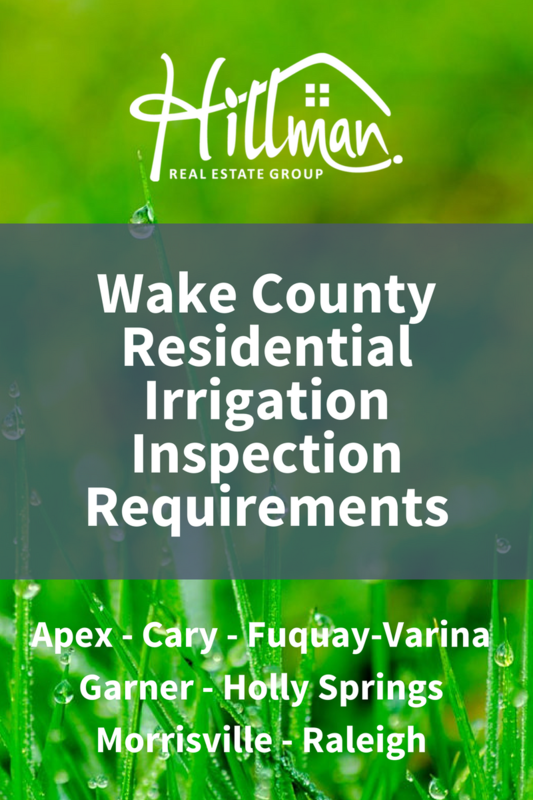 For more information, visit http://www.fuquay-varina.org/283/Public-Utilities. We hope you found this information helpful! If there are other topics you’d like to suggest we tackle here on the HREG blog, please leave a comment below or contact us to let us know.